Attractions and games and proven to enhance your Exhibition or Expo stand and attract more guests to your stand. We have experience in Business to Business Trade Show stands throughout the UK and Europe, and have a wide range of products are available. High quality interactive entertainment will increase interest in your brand and customer footfall. Our entertainment can be run competitively and as a competition and can be fully branded so your brand exposure is maximised. Having a activity on your trade stand is beneficial at holding the audience on your stand, allowing your experienced sales staff to interact over a extended amount of time. Our What’s Next game can be bespoke to show your brand name and your products. You can have the back of the cards branded, with your logo or name. And the front of the cards with two of your products on, the clients have to guess which product will be next. You can then offer a discount off your product if they guess right to motivate potential customers to play. A quick and fast paced game is our Neuron Race or Whack Attack speed reaction game, you can challenge potential clients in a head to head battle, if they win you can offer them a prize. With the LED light display it is an attractive piece of equipment which will draw people on to you trade stand. To receive maximum brand exposure our Expo Air Selfie Pod is the latest to have on our Exhibition stand. With panels that can be easily personalised to your organisation, it’s small footprint and unlimited prints with all of your company details to act as a business card, it is a must have at your next Expo. If you’re looking for something traditional and easy to play for your next Exhibition, then our Giant Buzz Wire is what you need. 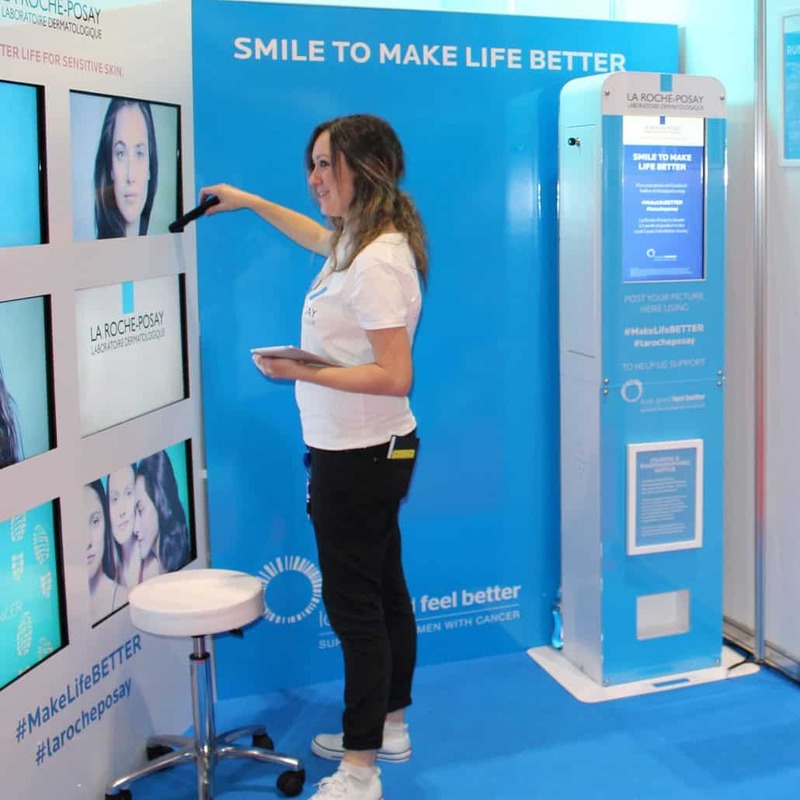 It can be branded and wrapped to your company, increasing brand exposure while allowing you to interact with customers as they have fun on your stand. Racing Simulators are becoming a big hit on Trade Show stands, depending on your space we can supply you with between 1 and 6 Racing Car Simulators for you Expo event. With their Top Gear style leader board, it increases competition, attracting more people on to your stand.